There was a crack, the ice broke apart, and now Mama and Papa Polar Bear have lost Baby Bear. Can you help rescue them and restore their home? 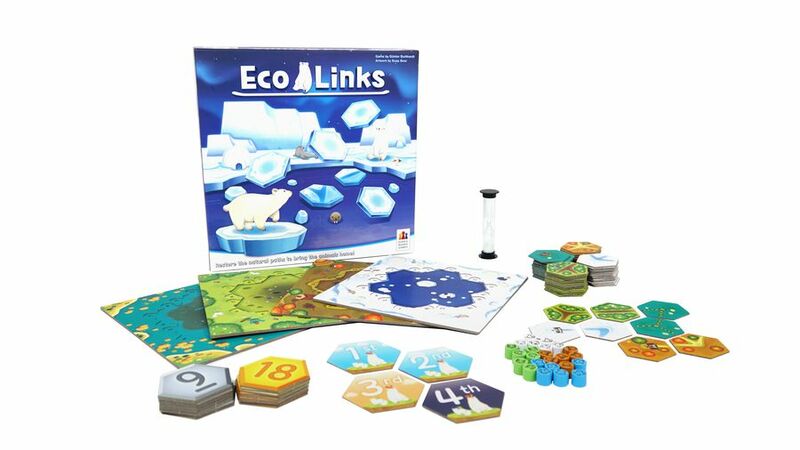 Eco-Links is a cute children's game about saving the planet one habitat at a time and reuniting animals with their families. 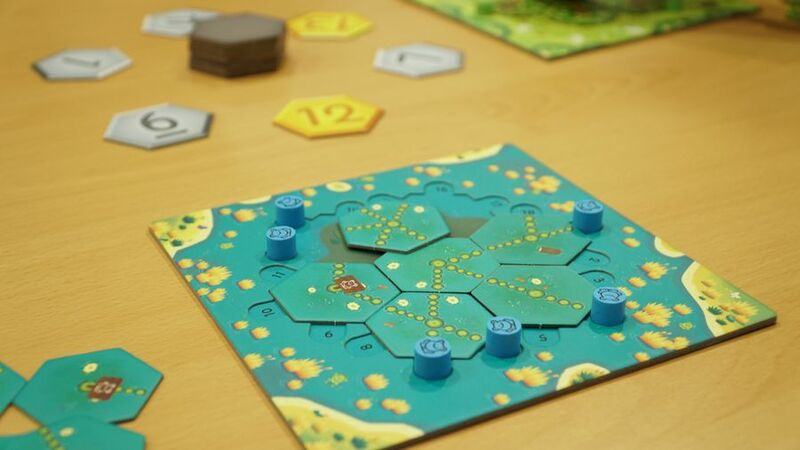 Eco-Links is a game of simultaneous play, acted out over several rounds. During each round, six numbered tiles are selected and revealed, and players then place an animal on their player board on the same corresponding number. The objective is to connect all the little, lost animals back together through paths, thereby rebuilding their habitat. The first two players to complete their player board in each round receive points, and the player who receives the most points at the end of all the rounds, wins! Eco-Links is a really lovely way to teach children about ecology. I think this would be a really well-received Christmas present for younger children. It hasn't quite made it for Western release yet, but hopefully will make an appearance at Essen. What family game do you think is best for young children? "Eco-Links is a cute children's game about saving the planet one habitat at a time and reuniting animals with their families."